Our EU6500is Honda generator rental is perfect for event power, camping, sound and lighting, stage power, food trucks and more. These super quiet generators are great for parties and events and are very fuel efficient. The inverted power is super clean made for sensitive electronics and being super quiet makes all the difference at an event. 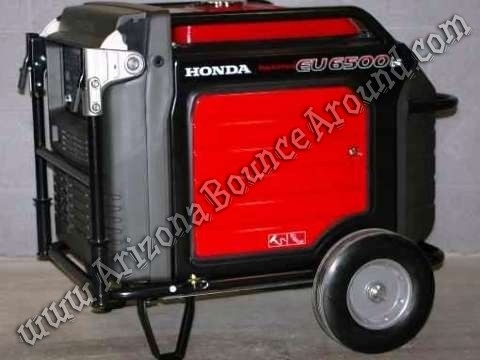 We rent the full line of Honda generators from 2000 to 10,000 watts.